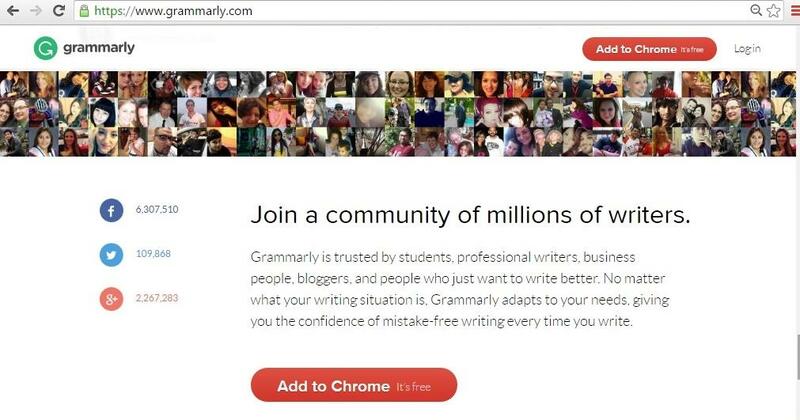 Grammarly Review: Is It A Help for Writers? Are you a budding writer? Are you looking for an app that would improve your language skills? Today there are many. And Grammarly stands as one among them that claims to improve your English language skills. Could it be your choice? Check out in this article. While checking on the available apps of learning and proofreading English the name that came topmost in the search list was Grammarly. It has been quite loudly said that the app can check and correct more than "250 types of grammatical errors" and can be referred as one of the best choices to improve one's writing style in English, especially for those whose language skills have not yet reached the satisfactory level. The app is supposed to have better language options for the users who are into different types of writing. The app claims to help its users in every kind of language usage depending upon the specific requirement. Whether it is a academic writing, research papers, dissertations, book reviews, business proposal, reports, presentations, news posts, creative writing like poetry, fictions, story writing, blogs and so on. Grammarly starts its job with giving you an explanation of each of the error that it identifies, to make you understand why it was wrong, so that you don't tend to commit the same mistake henceforth. Simultaneously it comes up with the proper usage of words, their spellings along with the explanations. In most cases the mistakes in English language appear to be quite common and Grammarly is an app to detect them with ease. It helps you finding and using the correct prepositions, when you choose something wrong. It alerts you whenever it finds an overuse of the voice, especially the passive ones. There could be a tendency of many writers of using too many words in every sentence they write. Instead of conveying their ideas through easy language, they make it complicated by choosing a difficult play of words. Grmmarly comes to help in such cases and solves this issue by suggesting easier way of writing the same idea. Grammarly comes with a plagiarism checker, which is useful for the webmasters, editors and proofreaders in detecting the originality of any write up. Grammarly is an app to check out grammatical errors, but how far is it dependable? Can it deliver a hundred percent accuracy in detecting them? We need to depend upon the user rating, their reviews and opinions as well as the test results which have been conducted on this particular app. Many of the users give it a 3 out of 5 star rating while many have written that it isn't yet as accurate as to replace a human editor. The test paragraphs on which Grammarly has been tried on come up with a number of grammatical errors and spelling mistakes. And the score of this Accuracy Testing came out with an accuracy of 95 percent. Any app which comes in the line of recommendation needs to pass through the test of "ease of usage". When I tried Grammarly, I found its interface to be quite neat and clean with a good number of useful links. At the landing page you get to see a big white review window where you need to paste your text that is going to be corrected accompanied with a few buttons placed nicely at the top of the page. They are namely Start a Review button, the paste and upload button, a download button, a search for error button, and one to find out plagiarism and another to clear the earlier text to give way to the new ones. Grammarly is overall a knowledge base app that can claim to have a sound Usage Manual that describes each and every aspect of the app with its relevant screenshots to make things easier for every level of user. There one is free to ask questions through their forum and can interact with other users online. The FAQ page is there with all possible help topics along with telephone support. But Grammarly is yet to offer the live chat option. When it comes to making a choice among a host of similar apps, what in most cases help in making the final decision is the pricing. 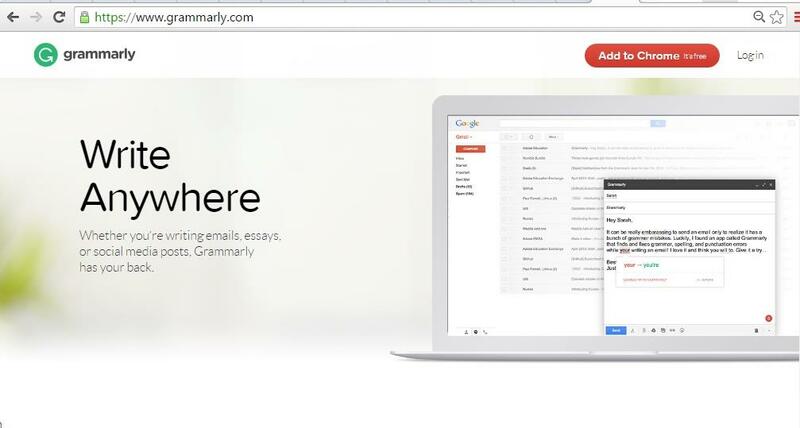 Right now Grammarly can be tried out through a subscription of $29 in a month. There is also a premium version available, where this grammar checker is able to catch more number of grammatical errors in a document than its free counterparts. And subsequently it even provides a detailed information and explanation on each error it finds out. But Grammarly does offer discounts for users who choose to go for either quarterly or annual subscriptions. Grammarly can easily boast of having a good knowledge base of online grammar, with a good score in accuracy, offering a responsive feedback system to help the learners explaining the grammar rules and it is easy to use . It can create a good support system for budding writers and authors who choose to go for self-publishing. Undoubtedly it is an excellent tool for the non-native English speaking people and for the writers who are not confident enough with their usage of English language. As it has a plagiarism checker, apart from the webmasters, editors and proofreaders, even writers themselves can utilize the tool and make the necessary changes before they submit their stuff to different places. The pricing of the Grammarly app can go against it at at times as not many writers might feel the necessity to pay this amount in order to learn a language this way, especially when similar apps are available in the market free of cost. As the accuracy check gives it a score of 95 percent, there could be a moment of hesitation before people go and pay for it. There is no option to change the spelling of words from American to Queens Language and the vice -versa. The app takes more time to process while finding out the grammatical errors in comparison to its competitors. In Grammarly you don't get the option of live chat. The overall experience of Grammarly as an online grammar checker was more than satisfactory in my case because of its high end features, accuracy level, and especially because of the way it explains the rules of grammar, which was so far appearing more complicated to me. However, it might not work equally good with each and every writer who isn't comfortable with the English language. You need to have a basic knowledge of the language to make the most out of this app. When we talk about spelling, meaning, syntax and grammar, Grammarly comes handy and helpful and can work efficiently as a personal grammar handbook which holds you back from embarrassment and frustration of committing silly mistakes. Coming to the issue whether it is a must have tool for the writers, one can certainly say that though it might not be the ultimate and one-stop solution to the budding writers, it is definitely an useful tool, that not only detects the errors in a point blank note, but also explains to you the reason because of which the usage would be considered as wrong and what could be the better alternative and why. WhiteSmoke app review: Will It Enhance Your Writing Skills? If you are looking for apps to enhance your English writing skills, one of the names which you can come across is WhiteSmoke. Here are the features that comes with the package. Check out if that suits your purpose. Yes, I am using this extension in chrome browser and it is great spelling checker and grammar corrector. Using since three months and learning from it. Geammarly is truly a great tool to reduce the grammar mistakes that we normally commit while working with our writeups. I would treat it an indispensable tool for the online writers. I have it on my laptop. I had installed the add on for Word as well But, later removed it later as it was a little slow. Grammaly has taught me a lot of things when it comes to good English. Grammarly is more focused on US based English, so the corrections and context of grammar is focused on American English. I won't recommend the tool for those freelance writers who are using it for the UK based client. Also the colonies where British English is being used. That being said, if your client is from US and you do the content editing or thesis editing, then it can be really good service to check for errors. Plagiarism check is handy tool which I think they should invest more into.